Today, we bring you an encore presentation of TGCL. The Daughters of St. Paul, who proclaim the Gospel in every medium available from printed books to films and TV to music to ebooks, apps, and websites. 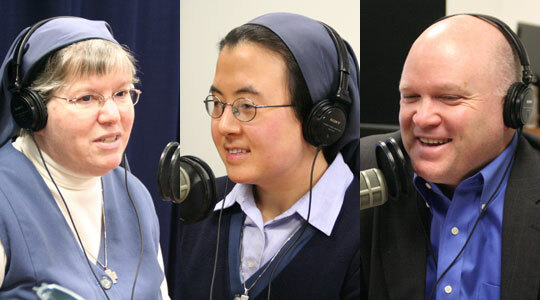 Scot Landry interviews Sr. Christine and Sr. Emi Magnificat about the mission of the Daughters of St. Paul, whose American headquarters are right here in the Boston area; their paths to the vocations in the order; and the story of the order’s founder, Bl. James Alberione.